The impetus for our trip to Europe was my daughter Ellis studying in Italy. 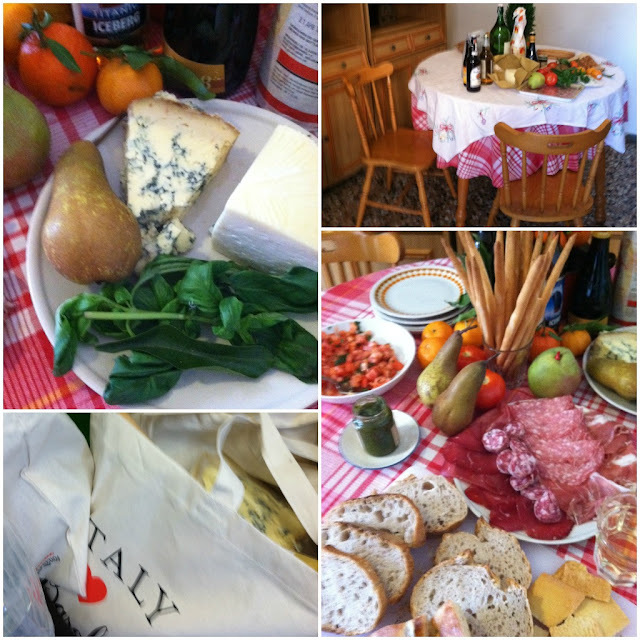 get a glimpse into their Italian life. all the while taking in the Italian charm that surrounded us. We made a few purchases... for the experience. you don't touch the produce.... rather point... and they bag it. I found this custom a little hard to remember. so very far from our own. 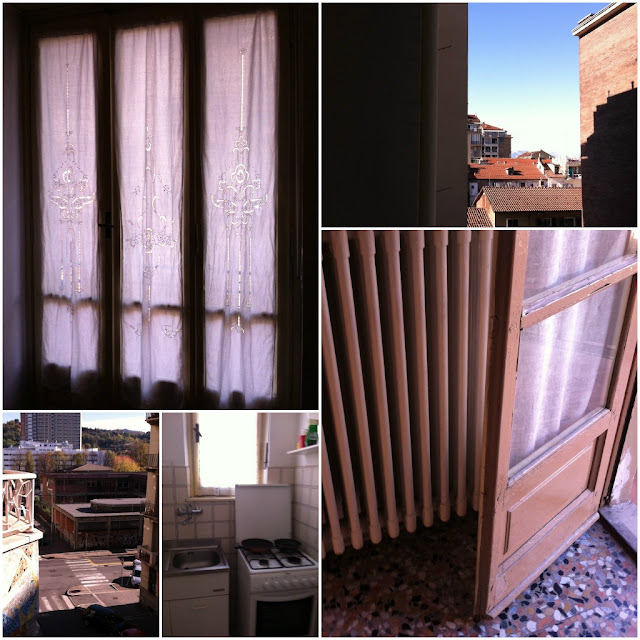 to get a peek into some parts of real Italian life. I always feel some what removed from the 'real life' of the areas. get the feel of real life here. that is just what I got in Torino. from the two balconies with mini views of the snow covered alps.. So off for a walk to EATALY we were. (even calling it by such a pedestrian name as grocery store does it an injustice). I'll just say we found everything we could possible want! has resulted in so many memories. I am so very proud of my girl for so many, many reasons. I didn't even know she possessed. without the help of language. Ellis would have never gotten to go to Italy with our blessing. for all too soon it will be a part of their memory. an investment that just keeps giving. the realization of what a big beautiful world is out there. with new eyes of appreciation. Wowsers! I cannot believe the incredible life that they are experiencing there. I really cannot imagine seeing my daughter take on an experience like this but I hope she does. How wonderful that you got to experience a piece of this highlight of her life so far. And...I cannot believe how much the two of you look so much alike. Beautiful. Thank you Sarah! You never know, your daughter might surprise you, mine did. When Ellis left for college 2 1/2 years ago.... 4 hours away seemed too far, now look at her! Throughout my life I have made it a priority to travel. During my younger years of living abroad on my own in many different countries and places I learned more about the world and myself than I could have ever hoped. You are lucky to have had a glimpse of your daughter's life while she discovers the world. We are never to old to learn or travel as long as we have an open heart and a willing spirit. Suzanne thank you for your poignant comment. I can now see how much is to be learned and felt through traveling. Seeing how Ellis had made a life for herself out in the world...was my favorite part of my trip. I love how you say "we are never to old to learn to travel". i know I did bring an open heart and willing spirit and found them to be the key to a trip filled with wonder, love and enchantment. Suzanne thank you for sharing your love of traveling and soulful spirit! Do you think Ellis would mind my taking her place over there in Italy for a few weeks or so? It looks like a magical life! You are both such beautiful women. I'm glad you had such a wonderful trip. Thank you Adrienne! 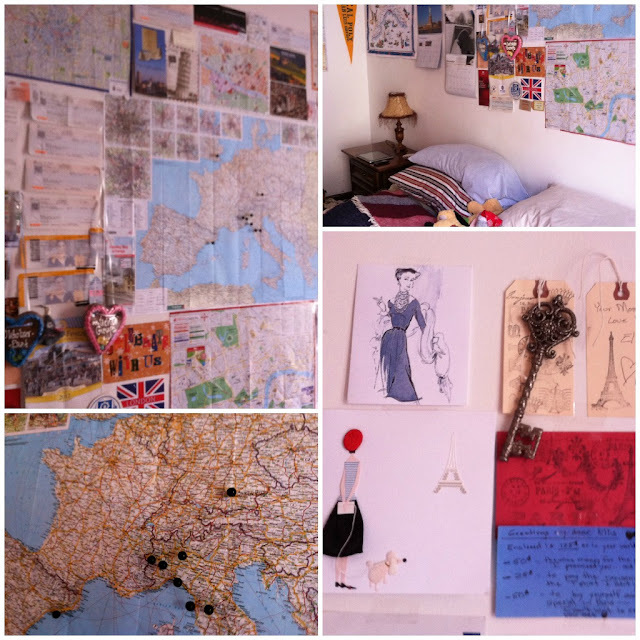 Doesn't living in Ellis's small apartment look like a dream! Anne thank you for your lovely comment. I marveled at your post with all the places you have traveled! Yes, I agree, somehow that tiny kitchen laden with the bounty of simple foods.... was such a beautiful memory! I have so enjoyed you following along on my journey.... Thank you Anne. Your daughter is so lucky to have this experience! My daughter is a senior at UCSB and was unable to study abroad since it would throw her off schedule and she would have to graduate a year later! Still I remember my semester abroad when I was in school. Hopefully my girl can travel before she gets a job. I love reading about your adorable daughter and all your adventures. Connie thanks so much! Where did you study? Is your daughter excited about graduating this year? ALWAYS, always, always love reading your blog.....I look forward to it everyday.....but dear heart, no pressure to publish everyday.....I just enjoy it so much. Thank you so very much Catherine! you certainly made my day!!! I love all of the little details you've picked up and everything from you on her memory board is every bit as stylish as her mum. A beautiful post about travel, your loving relationship with your daughter, connections and beauty, and the return home. Lovely photo of you and your daughter, smiling and radiant. It speaks a thousand words.